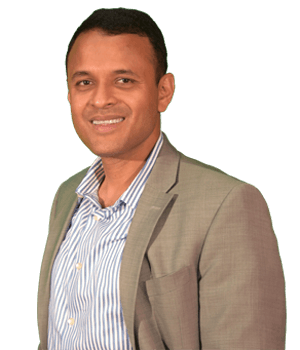 A Boston-based angel/seed investor and entrepreneur, Venkat Janapareddy is currently a general partner at AKAR ventures. Prior to AKAR Ventures, Venkat Janapareddy was the founder of Gozaik which was acquired by Monster World Wide. Venkat Janapareddy was also the founder of XpertTech, a technology consulting company which was acquired by UK based private equity firm. In his professional life Venkat Janapareddy splits his time between AKAR ventures and his incubator companies Cintell and Dragonfly Data Factory. Venkat Janapareddy is extremely interested in the Internet of Things and big data technologies. The ever changing and advancing fields of big data, market tech and IoT drive Venkat Janapareddy to seek out and support new developments within these industries. As someone interested in and involved with the industry, Venkat Janapareddy is always reading up on technology and startups so he can stay at the forefront of the industry. Venkat Janapareddy is also a member of the Boston Chapter of TIE Global, which is the biggest not-for-profit organization dedicated to entrepreneurship in the world. Venkat Janapareddy received his bachelor’s degree from Birla Institute of Technology and Science in Pilani, India. His experience here made him passionate about the importance of education. With his success in business Venkat Janapareddy has dedicated a great deal of his time to making education more accessible to young children and teenagers who need it the most. Venkat Janapareddy has combined his love of investing with philanthropy by investing in educational collectives that use social media to reach wider audiences. When not investing or working on one of his startups, Venkat Janapareddy is a family man who is passionate about health and fitness. Venkat Janapareddy cherishes the time that he gets to spend with his two children. He loves watching American football- his favorite team is the New England Patriots. However, his favorite player is Peyton Manning of the Denver Broncos.